Texas has the highest number of employed cosmetologists, hairdressers, and hairstylists. No need to be that statistic of the employed anymore when you can be your own boss and have your own suite here at Spa Galleria Mansfield. At Spa Galleria Fort Worth, Spa Galleria Irving and Spa Galleria Keller and the many other locations that we have you can sell your own products. Being able to sell your own products can benefit you because in selling your own retail it provides higher profit margins rather than services. In fact, selling your own hair care products represents five to fifteen percent of overall revenue. 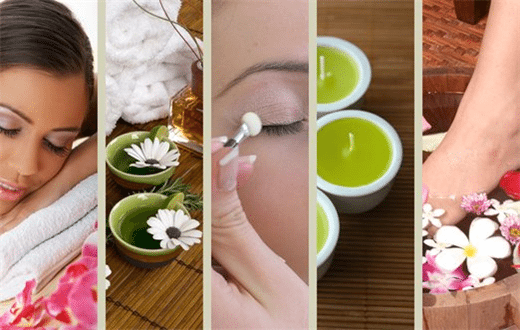 Looking for spa rooms for rent in Fort Worth, spa rooms for rent in Arlington, or spa rooms for rent in Grapevine? At all our locations we provide a shampoo bowl or sink whichever you prefer, give you the freedom to decorate and paint the suite that bets fit you to help make it nice and relaxing for you and your clients. Also as a special gift from us to you, we provide a complimentary thirty-two inch TV with Direct Cable hook up for you and your clients to enjoy while in your chair or for you in between clients. Our Spa Galleria Grapevine and our Spa Galleria Southlake are in cities that are expanding/growing very quickly and can be the perfect location for you to finally start that business you have always wanted. Oh, and did we forget to mention that we have twenty-four-hour access to each location as well as twenty-four surveillance for your suites security and you and your client’s safety. Give our leasing manager a call and come tour one of our many locations and see how facilities are run and why we are voted the number one salon.